This website runs on a Linode VPS running Ubuntu Server. I am responsible for everything from the OS to the theme. I administer the virtual server and am responsible for all updates. In addition, this site runs on WordPress. I built the theme using Automattic’s Underscores (_s) starting point. I used SCSS to help with CSS authoring, and the generated CSS goes through autoprefixer to save manual effort managing vendor prefixes. Grunt takes care of these tasks to reduce the possibility for error. 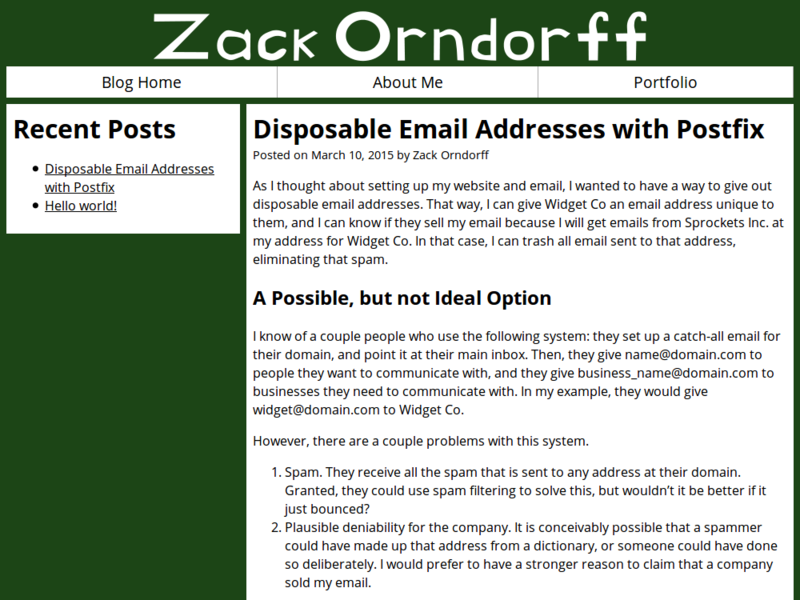 Finally, I custom authored a plugin to manage portfolios, which is in use for this very page.